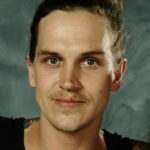 Jason Mewes is an American television and film actor, film producer and internet radio show host. He has played Jay, the vocal half of the duo Jay and Silent Bob, in longtime friend Kevin Smith’s films. "I showed my mom the movie then I told her the movie got bought and that it was gonna be shown in theatres and be on video. Everyone was really psyched about it. Everyone in my little town of hounds started to call me movie star." "It was cool to do someone else’s movie. It was a lot of fun." "I’m more into the Spawn toys. They’re really cool. They’re coming out with a Techno Spawn series and another series, The Dark Ages, which are really cool."